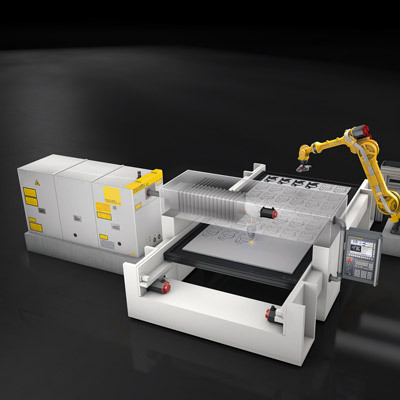 Various different CNC machine tools exist for cutting sheet metal. The most important techniques are plasma, water jet or laser. Each different technique brings its own specific advantages depending on the application. When it comes to cutting sculptured contours and precise shapes however, laser cutting offers the best solution. It also provides a good alternative to milling. 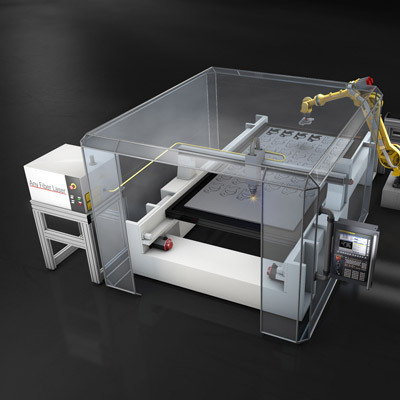 Fibre laser cutting is the fastest way to separate thin sheet metal. Particularly suitable for applications that do not demand the highest surface quality on cut edges, it can be used to cut anything from thin to medium grade materials. 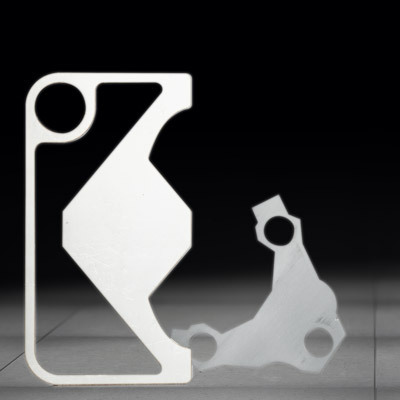 C02 laser cutting is ideally suited to processes requiring a high degree of accuracy. 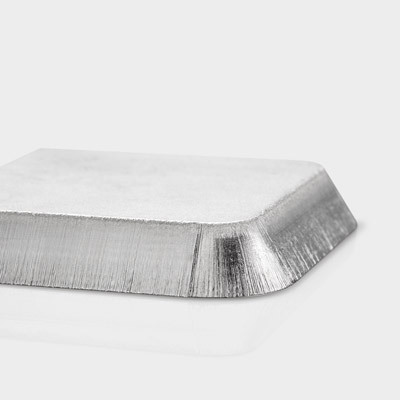 The surfaces it produces are superior to those created by fibre laser cutting. And while not quite a match for milling, it is much faster and much more cost effective as result. Capable of cutting everything from thin to thick grade materials, it is also faster than fibre cutting on materials above a certain thickness. Seventy percent of the costs incurred by laser are attributable to initial procument, not day-to-day operating expenses. In financial terms, CO2 lasers offer huge advantages over fibre machines on applications involving complex shapes and extremely exacting degrees of accuracy and repeatability. This is because acquiring the same results from a fibre machine would involve making costly upgrades such as adding rigidity and fitting a high-end linear motor - something that would ultimately make taking this route too expensive. On laser cutting applications energy accounts for 5 to 7 % of the total cost per part. C02 machines also include additional energy saving features. To create the most efficient setup for you, it's best to get advice and go through all your options with an expert. CO2 lasers are complex machines that require maintenance, especially to the turbine and mirrors. 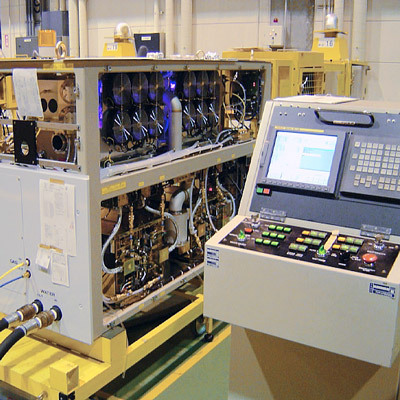 Given the costs involved in this, make sure you choose a machine built for maximum reliability. Some machines, for instance, only require maintenance work to be carried out after extremely long intervals. 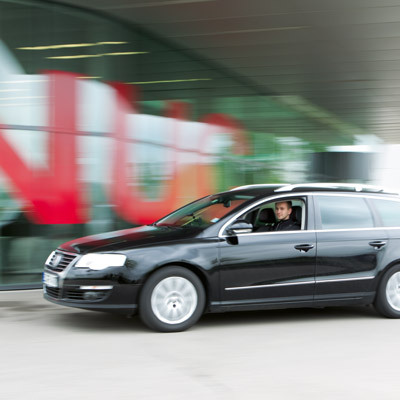 One manufacturer even guarantees the turbine for 24,000 hours. Supplemented with tending robots a CO2 laser machine can work continuously around the clock. More efficient and cheaper than a fibre machine on this kind of application, this results in low average per part costs. Fibre laser machines use 1 μ wavelength and, consequently, require the enforcement of very strict safety criteria. Machines need to be completely enclosed, reducing the operator's ability to influence the process and extending downtime should an issue occur. Since they only use 10 μ, CO2 lasers on the other hand allow the operator to get close up and restart the cutting process as quickly as possible in the event of an incident. Fiber or CO2? 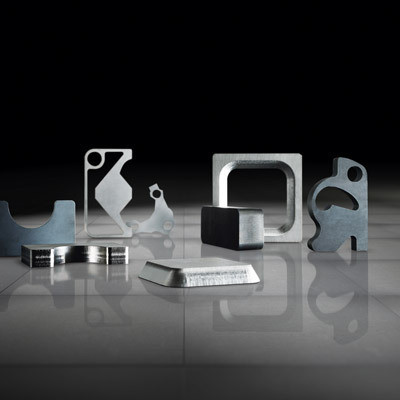 Which is the right laser cutting solution for you? When it comes to bevelling, CO2 and fibre cutting are both more accurate than plasma cutting and faster than milling. A good CO2 machine, for instance, will allow you to bevel edges of up to 40 mm - the perfect solution for cutting steel plate for instance. 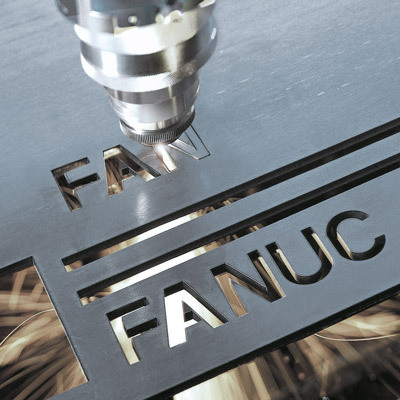 A laser machine will mark, etch and engrave as well as cut. Eliminating the need for two machines and to transfer parts between them, this inherent versatility reduces per part costs even more. CO2 lasers cut clean without leaving oxide residue on the workpiece. 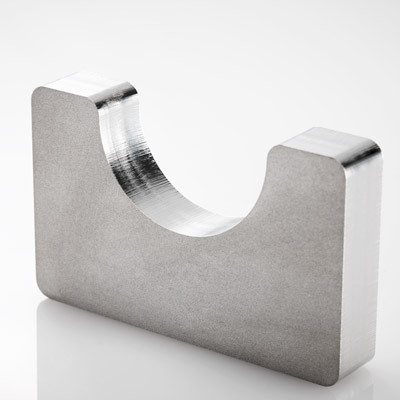 This makes using a C02 machine a great alternative to milling on stainless steel parts requiring an excellent finish. 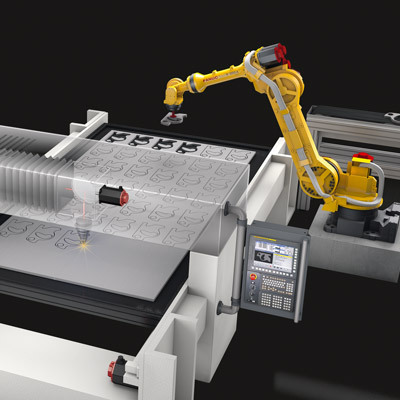 Given extra productivity resulting from its speed, it makes sense to seek advice on the pros and cons of laser cutting as an alternative to milling. CO2 machines make it possible to cut intricate shapes and tiny grooves down to a fraction of a millimetre. 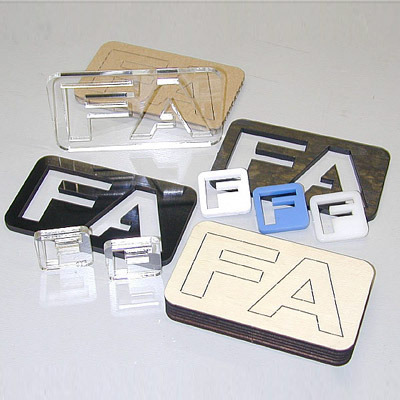 Laser cutting is ideally suited to cutting wood, plastics and Perspex. It leaves beautifully edges on Perspex, cuts plywood and can be used to punch paper and cardboard. A method that is both versatile and cost effective, laser cutting makes a great solution for suppliers to the media and advertising industries. Getting more productivity from older or specialist machines by adding tending solutions is easy since all you need to replace is the laser system. The availability of ready-made solutions means that creating your own setup from various pieces of equipment is not necessary. When deciding on a laser, good support in the form of specialist advice and knowhow is indispensible. What about incorporating a laser into your machine? 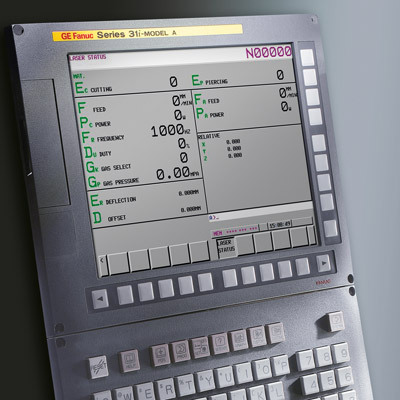 Does it come with the right machining software and meet all your cutting requirements across a wide range of materials? And what about setting up and calibrating it? If you are starting from scratch, it us best to ask an expert.